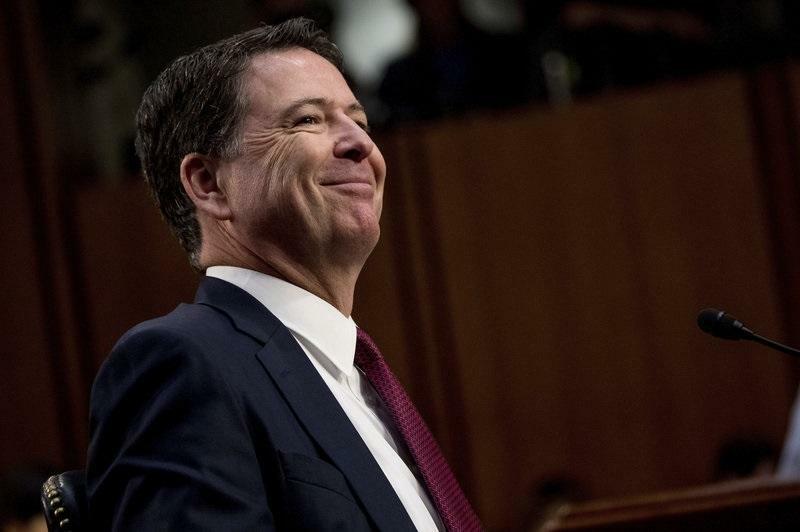 Former FBI Director James Comey, who oversaw the FBI's involvement in what appears to have been a coordinated effort between U.S. intelligence agencies and the Obama administration to launch the Trump-Russia probe, is set to make a mint with his new book; "A Higher Loyalty: Truth, Lies, and Leadership." Comey's book is already a best seller based on pre-orders alone, while the lanky Clinton-exonerating Director raked in $2 million when he signed the book deal with Flatiron, a Macmillan imprint. The former FBI Director is also taping an audio version, and will make promotional network appearances on ABC and CBS before embarking on a 10-city tour. In five of these cities, reports Page Six's Richard Johnson, Comey will give lectures for $95 / ticket (which are being resold for as much as $850 on StubHub). Comey has had an interesting career - serving as deputy special counsel to the Senate Whitewater Committee in 1996, where he admitted that Hillary Clinton had obstructed the investigation into real-estate loans authorized while Bill Clinton was governor of Arkansas, but decided not to prosecute her due to lack of "intent." He also earned $6 Million dollars in one year as Lockheed’s top lawyer – the same year the egregiously behind schedule and overbudget F-35 manufacturer (whose top lobbyists were the Podesta Group) made a huge donation to the Clinton Foundation. Comey was also a board member at HSBC shortly after NY AG at the time Loretta “tarmac” Lynch let the Clinton Foundation partner slide with a slap on the wrist for laundering drug money. In 2016, Comey came full circle - a full 20 years after he exonerated Hillary in Whitewater, when the former FBI Director exonerated "Madame Citizen" again in her email investigation - after his staff, spearheaded by former Deputy Director Andy McCabe - heavily altered the language of the agency's official assessment - effectively "decriminalizing" Clinton's conduct. Definitely some "higher loyalty" stuff going on there. Meanwhile, Comey's #2 Andrew "bag man" McCabe was just fired a day before he was set to receive his full pension - on the recommendation of DOJ Inspector General Michael Horowitz. While several dozen GoFundme campaigns have been set up in McCabe's name, the "friends of Andrew McCabe" has set up an official fundraiser for the former Deputy FBI Director's legal defense, which has raked in over $388,000 (well over its $250,000 goal). The Gofundme page starts off: "Andrew McCabe’s FBI career was long, distinguished, and unblemished." Aside from getting fired for leaking to the press, lying to the Inspector General, possibly instructing agents to alter their 302 forms detailing their meetings with various Trump associates such as Michael Flynn, and of course, all those edits to Hillary Clinton's exoneration - yes, totally "unblemished."